Ganley Toyota is a new and used car dealership that serves Ohio drivers, including the areas of Brunswick, Canton and Cleveland. Our Toyota dealership has worked hard throughout the years, and our commitment to our customers shows in all the awards we have been honored with. From being a Certified Dealer from DealerRater to being Akron's #1 Toyota Volume Dealer based on new car sales for 2018, our dealership is here to assist! Contact our team to today, we look forward to speaking with you soon! Our Toyota dealership in Akron, Ohio has a fully stocked inventory of brand-new models for sale. Explore the sleek Toyota Corolla or learn about the amenities that come included with your hybrid purchase. You'll not only reap the benefits of the comprehensive warranty that comes included with your new purchase, but you'll also get to keep money in your pocket thanks to the added ToyotaCare plan! This roadside and maintenance assistance plan comes free of charge on any new Toyota purchase, talk to us about the details today. Ganley Toyota has many used cars for sale, all boasting driver-friendly price tags. We strive to make affordable, quality options available to the masses so whether you're a recent college graduate or a Wall Street professional, we've got a stylish option in store for you! Our dealership also caters to families, talk to us about the impressive Sienna or take a used Toyota Camry for a spin! Our team will not only help you find a reliable vehicle that satisfies your wants and needs, we'll also help you value your current ride so you can trade it in! 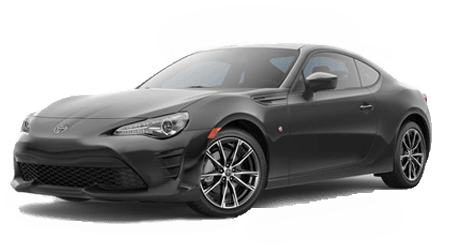 Complete the form we have on our website to value your vehicle right now; we'll go over our offer and walk you through our inventory, introducing you to the TRD model you've been looking for. Contact Ganley Toyota for auto credit financing assistance today. We're not here to hold past credit mistakes against you; we're here to get you and your credit score back on track. Send over a loan application to start this process now or make the short trip over from Canton, OH to sit down with one of our friendly finance team members. We'll review your past financial records and go over ways you can start improving your credit rating today! Our service department is award-winning and competitively priced, visit our Ganley Toyota Master Certified Technicians to get your Toyota RAV4's oil changed or to get your Tacoma tires rotated. Our team of professional mechanics looks forward to ensuring your ride stays in working order for many years to come so you can comfortably enjoy the open road. Schedule your Toyota service by using our online form now! If you're looking for impressive Toyota vehicle options, competitive prices, aggressive specials and quality services and genuine parts, you're looking for Ganley Toyota. Our Akron, OH location is near Brunswick and Cleveland so don't hesitate to make the short trip over to see us today. Why Buy at Ganley Toyota? Here at Ganley Toyota we offer long-lasting protection of your new Toyota or used car purchase through our Vehicle Protection Plan. We also offer our Ding Shield Plan that covers your new Toyota's interior should tears, rips or cracks appear. If another driver or shopping cart dents your door, avoid the costly and time-consuming hassle of finding a body shop, simply use a Ding Shield Service Plan. Come by today!